Ice Cream Maker Owning Your Own Ice Cream Maker Means You Can Have Delicious Ice Cream At Home In Very Little Time. 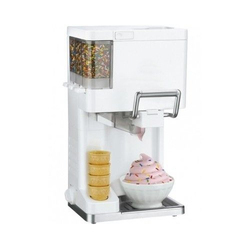 The Softel Ice Cream Maker Has Attractive Compact Design With Transparent Bowl, Made Of Food Grade Durable Plastic. It Also Prepares Fruity Slushes Or Frozen Cocktail Drinks, Like Margaritas. We are importers of Ice Cream Maker for Home. - New Style Ice Snow Maker Description A Unique & Handy Non-Electric Appliance. Ice cream churner. Make ice cream for large quantity. 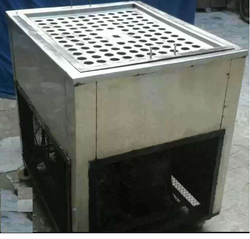 Why do you need this: Frozen Yogurt Machines, Ice cream Churner/ Batch Freezer, Ice cream making machine. We offer Ice Cream Maker to our clients.